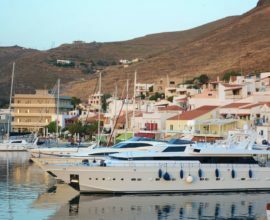 Information on the Cruise: Setting our course to the South-East of Lavrion with first stop at Rhinia island for a refreshing swim stop at one of its private bays with crystal blue waters. 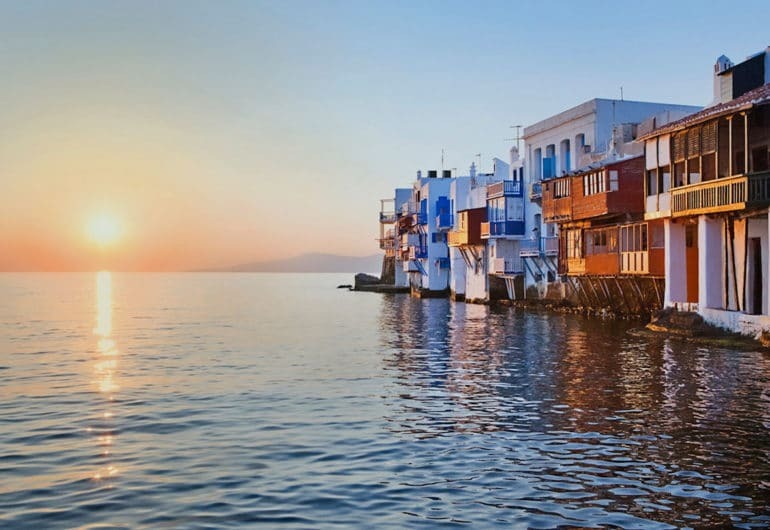 Tinted with deepening shades of blue, green, and purple, the water is an artist’s pallet. Near the shore, the color is a subtle blue, becoming a bright blue/green and then a rich, dark, wine-colored purple in its deepest part. 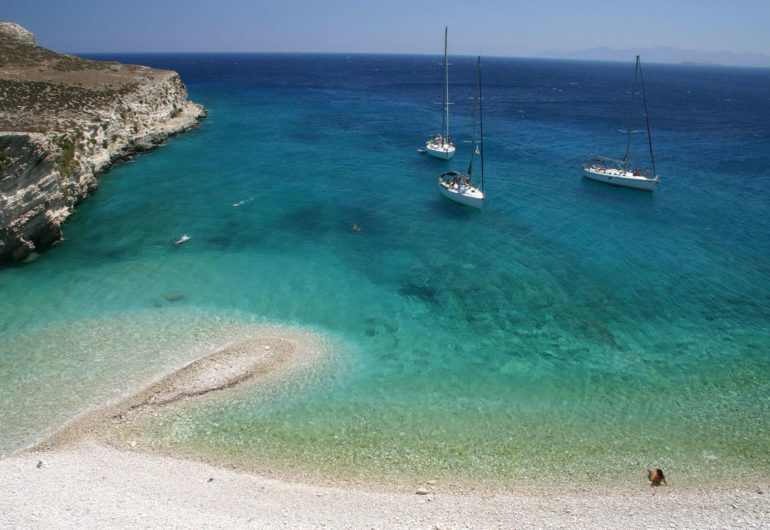 Two lovely coves protect the solitary, sandy beaches, named Stena, Lia, Glyfada, and Ambelia. Rhinia is located next to the all-important archaeological island of Delos. The channel between the two islands is about 100 meters. 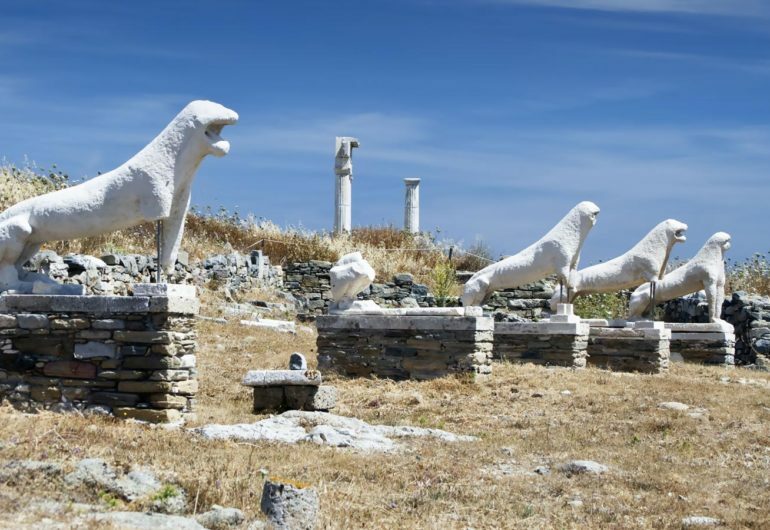 Delos burst with life during the 3rd and 2nd century BC with thousands of inhabitants (20.000–30.000) from all the East Mediterranean countries. 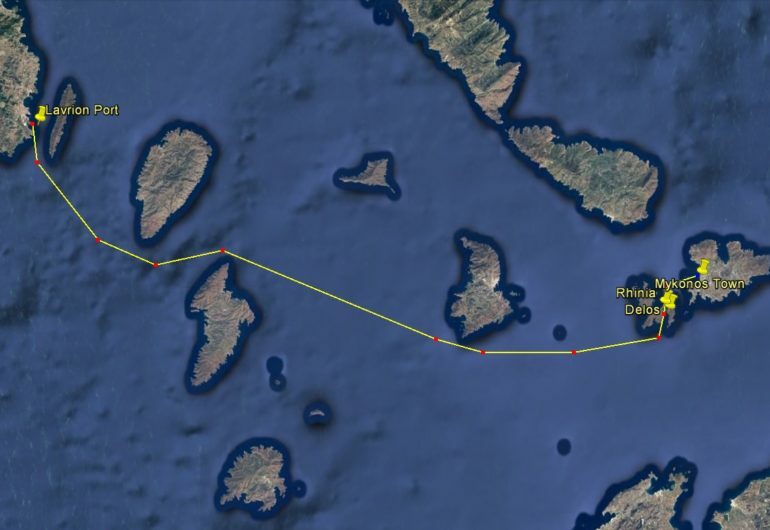 It is amazing that on this tiny island, of a length of hardly 5 km and a width of 1.3 km, that produced nothing, you could buy almost everything: slaves and perfumes, wheat and oil, wine and Tyrian purple. 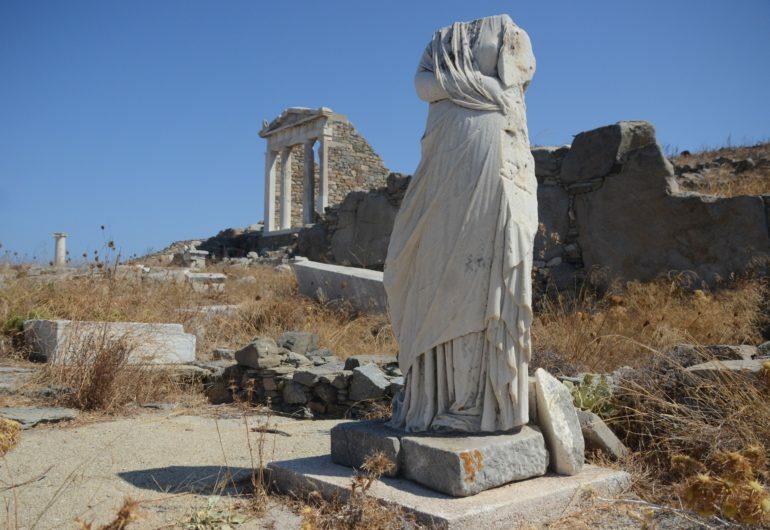 Besides its strategic position Delos came to know such an impressive development because it had been an important religious centre since the 7th century BC. Let’s not forget that here were born Artemis and Apollo, children of Zeus and Leto who found refuge here pursued from every land at the order of Hera. 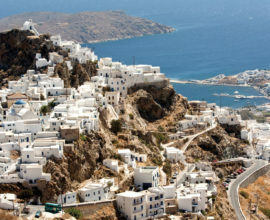 After suffering for nine days under the palm tree on the bank of the Sacred Lake, Leto delivered the beautiful twins and gave the island its reputation and sacred character. This is the lake that the famous marble lions of Delos still guard. 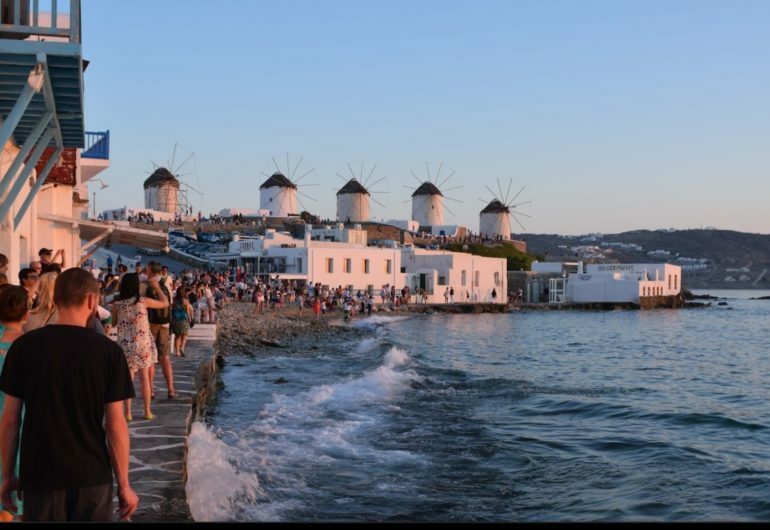 Next stop is Greece’s most famous cosmopolitan island, Mykonos island, a whitewashed paradise in the heart of the Cyclades. 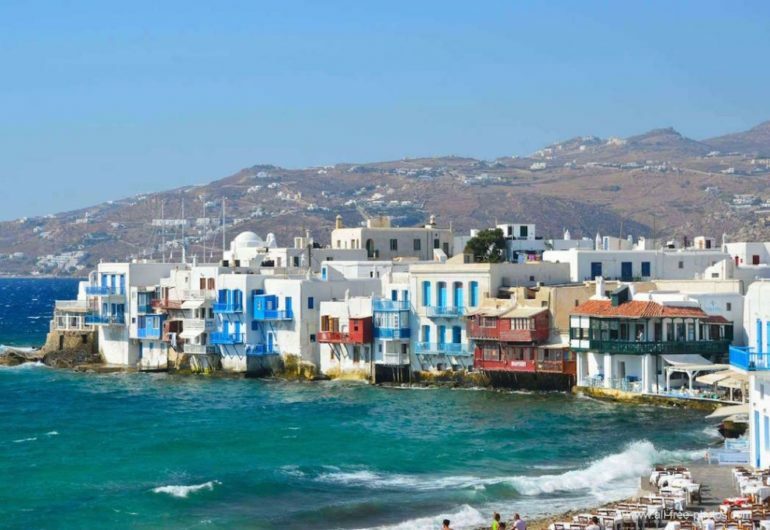 According to mythology, Mykonos was formed from the petrified bodies of giants killed by Hercules.In contrast to other Cycladic capitals, the capital town (Hora) of the island is not built in the shape of an amphitheater but instead spreads out over a wide area. 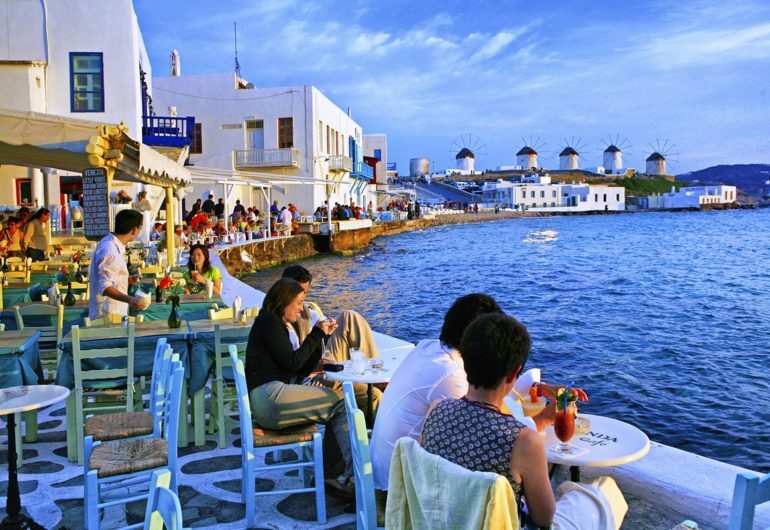 It is one of the best examples of Cycladic architecture and a spellbinding attraction for visitors. 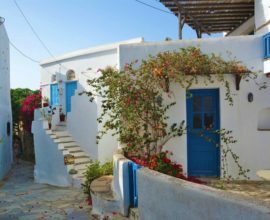 Stroll around its narrow marble streets and admire whitewashed houses with colorful doors and window frames, bougainvillea trees in purple bloom and hidden churches. 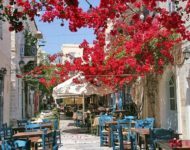 Pay a visit to the church of Panayia Paraportiani, the Town hall and the castle situated above the harbour. 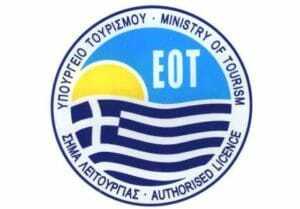 Don’t forget to visit the Archaeological, Folklore and Maritime Museums to take in a little history. 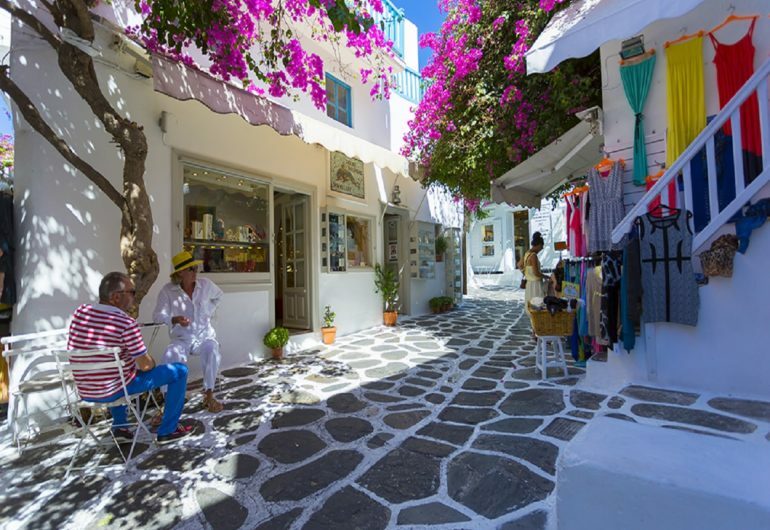 Wander around the pedestrian shopping streets of the Hora, always colorful and busy. 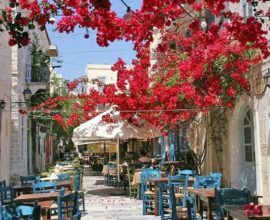 The most glamorous of all is Matoyanni Street, lined with brand name stores, charming cafés and stylish restaurants. 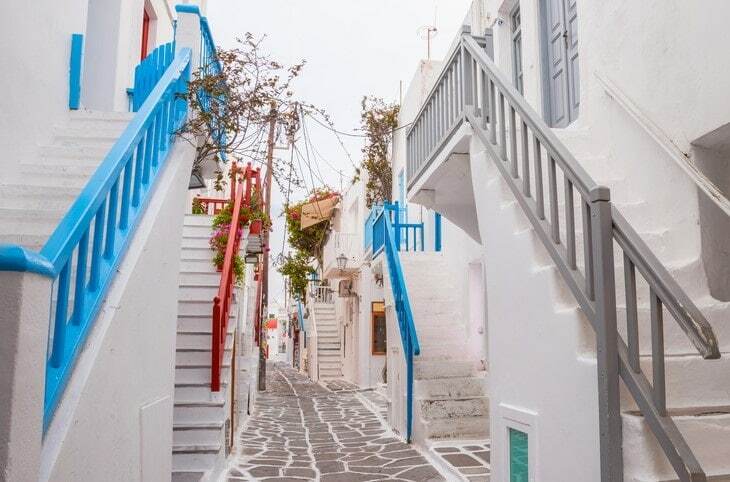 One of the most scenic corners of the island is Alefkantra or “Little Venice”, an 18th century district, dominated by grand captains’ mansions with colorful balconies and stylish windows. 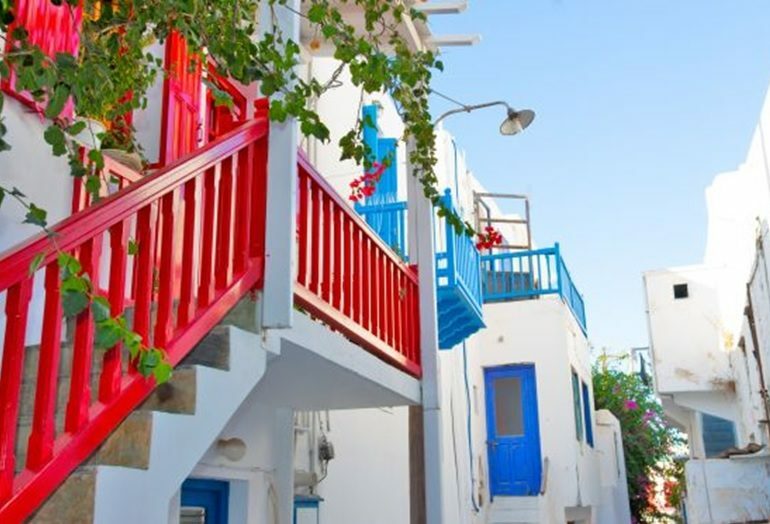 With balconies perched over the sea, pictures of the famous Italian city spring to mind. 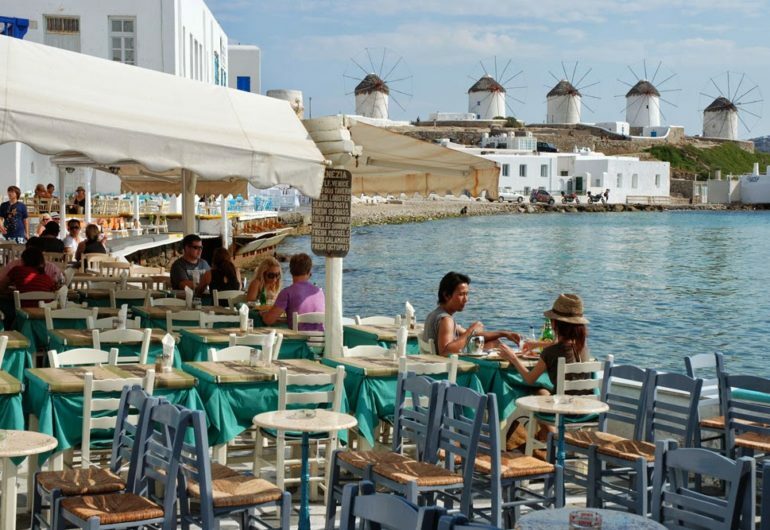 Relax at a waterfront café and admire the view of the quaint windmills standing imposingly on the hillside above, set against a luminous blue backdrop.